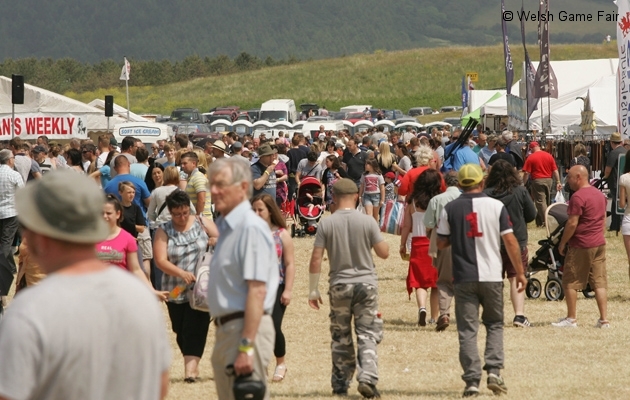 It is with great sadness that the organisers of the Welsh Game Fair have announced that the event will no longer take place. The Fair which has held a unique place in the summer country sports calendar has had a long and successful history since its humble beginning in 1986 when it originated as a one day event. The fair was the brainchild of three country sports enthusiasts who never imagined that it would evolve into such a countrywide event. Its spiritual home will always be Gelli Aur on the banks of the river Towy which it outgrew in latter years. Sadly one of the founding organisers, Colin Evans, passed away two years ago, a combination of other commitments and an ever increasing workload forced the remaining organisers to take this sad decision. Elvin Thomas, one of the existing Directors said “We never dreamt, many years ago, that the Fair would grow into such an event. We owe many people so much thanks; the traders who supported us, sponsors, all our helpers and volunteers far too many to mention and of course the country sports community, who supported us through sunshine and rain”.